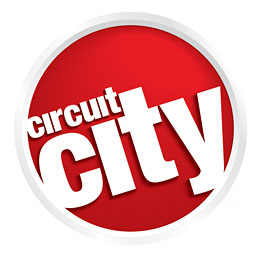 Circuit City, one of the biggest electronics retailers in the US and Canada is announcing that they will be closing down 155 stores that are under-performing in light of the economic slowdown. It may not be apparent but Circuit City is in trouble according to a Business and Liquidity Update they reported to their stockholders. The company basically like many startups and web companies we know of is cutting costs, streamlining and laying off staff to stay afloat. The 155 stores are listed here. James A. Marcum, vice chairman and acting president and chief executive officer of Circuit City Stores, Inc. said, "Since late September, unprecedented events have occurred in the financial and consumer markets causing macroeconomic trends to worsen sharply. The weakened environment has resulted in a slowdown of consumer spending, further impacting our business as well as the business of our vendors. The combination of these trends has strained severely our working capital and liquidity, and so we are making a number of difficult, but necessary, decisions to address the company’s financial situation as quickly as possible." Other measures are also being taken to save the electronic retailer and Circuit City is evaluating all their options. Consistent with this evaluation, the company will continue to take appropriate actions to conserve cash, reduce expenses and improve liquidity. In addition, the company is continuing to evaluate additional near-term cost reduction initiatives that may be necessary to address its financial condition. The company is also in negotiations with its lenders and other third parties regarding various financing alternatives. Of course the key here is to remain running the business without interruption and implement the changes with the least impact on their consumers. This means that the average Joe should not even notice that the store in the next neighborhood has closed down.